Summer is over and once again we are empty nesters. Our girlie moved into an apartment with her best friend and classes begin tomorrow. mix to carry around in case she gets hungry between classes. I thought a festive mix with her school colors would be fun. 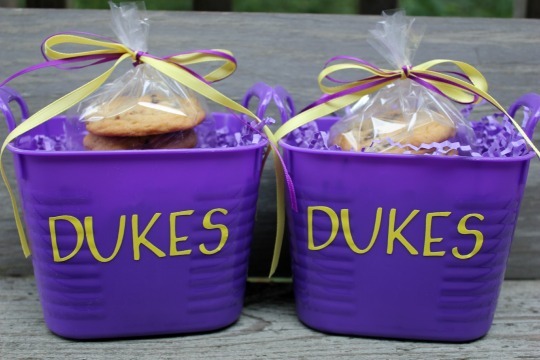 Madison is a sophomore at James Madison University and the Duke Dog is their mascot. I found the purple plastic mini tub at the Dollar Store and cut the letters with my Cricut. The small container with the clear lid is from Target. I thought this would be perfect to carry the mix around in her backpack. The purple and yellow m&m's are from Martin's - I was so excited to find them! Combine all ingredients and keep in an airtight container. 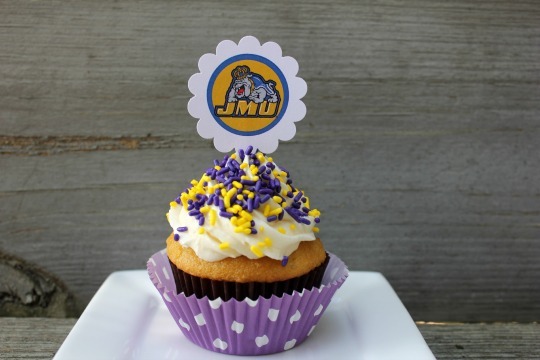 Here are some of the JMU treats I made last year. Deliver some to your favorite college student! 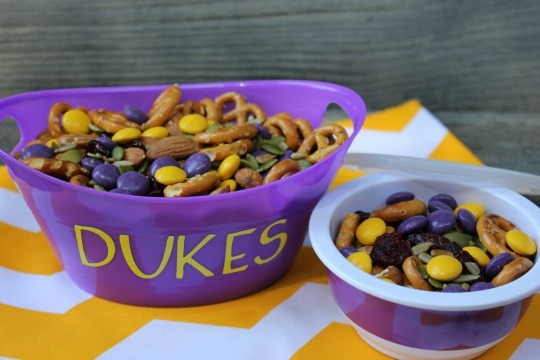 The snack mix is super cute! 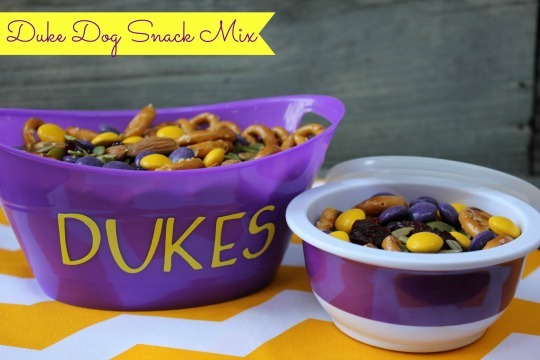 I'll have make some for my son who is a junior at JMU! Thanks Marie! Good luck to your son this year!